Our Lady of Fatima Elementary opened their doors to a new school year on Friday, August 4th. As part of the opening ceremonies, a special breakfast was held for the 6th grade class. The breakfast is an annual tradition to honor students entering their final year at Our Lady of Fatima Elementary. “This is a special year for these students” Principal Cindy Hahn, said during the ceremony. “This is their “senior” year and we are proud of what they have accomplished at our school. We look forward to the upcoming school year and their graduation in 2018”. 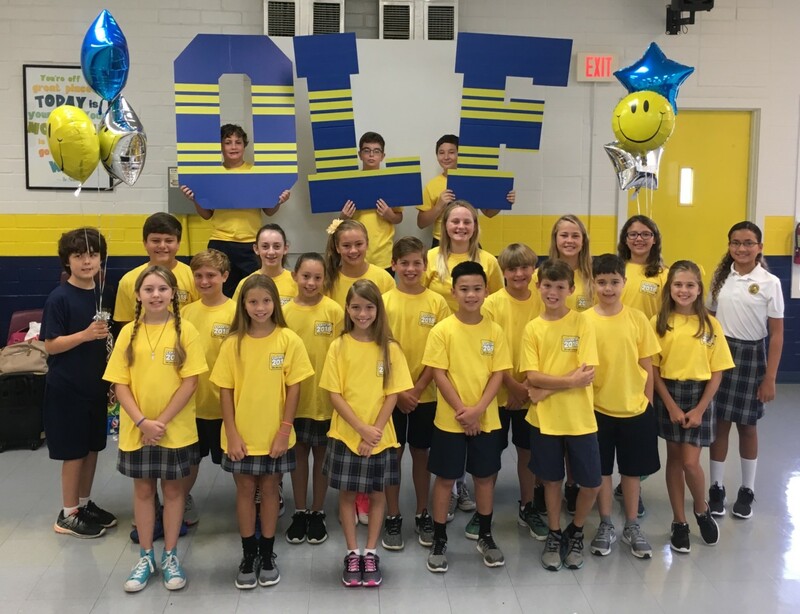 The 6th grade “senior” class of OLF Elementary for the 2017-2018 school year.